Karthigai Deepam - Festival of Lights ushering prosperity and joy, this is celebrated in the tamil month of Karthigai(November - December ). On this day the entire house is decorated with little oil lamps (Agal villakus ). We make Pori urundai and Maa Vilakku (Lamp made of rice flour ) as prasadam to the Lord. In a heavy bottomed pan, melt the jaggery by adding 1/2 cup of water without any lumps and filter it to remove impurities. Now in the same pan, add the filtered jaggery along with cardamom powder and keep it stirring in medium flame. The syrup starts to thicken, try testing the syrup by pouring a drop in a small cup of water. If the syrup does not spread ( you can also try to roll it into ball) then the syrup is ready. Add the puffed rice to this syrup, Mix well and remove from heat. Allow it to cool a bit,grease your palm with ghee, take small portions from the mixture and press the balls firmly until you get a perfect shape. If you add more water , then the time to get the syrup consistency will be longer. While testing the syrup, if it spreads, keep stirring and check again , repeat it until you reach the correct stage. Do not allow the mixture to cool a lot, then you will find it difficult to shape them. perfect and nice pori urundai.Thanks for sharing. 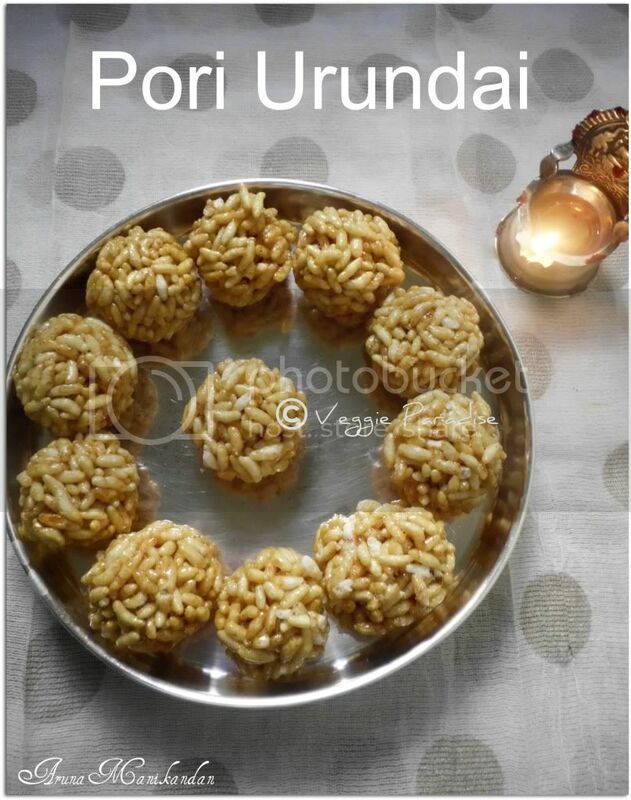 Yummy pori urundais...Happy Karthigai to you Aruna. I am hosting a series event on spices would you like to guest host? this one will go good with this season ..
Lovely pori urundai looks super perfect.Happy Karthigai dear. wow, they look so tempting. 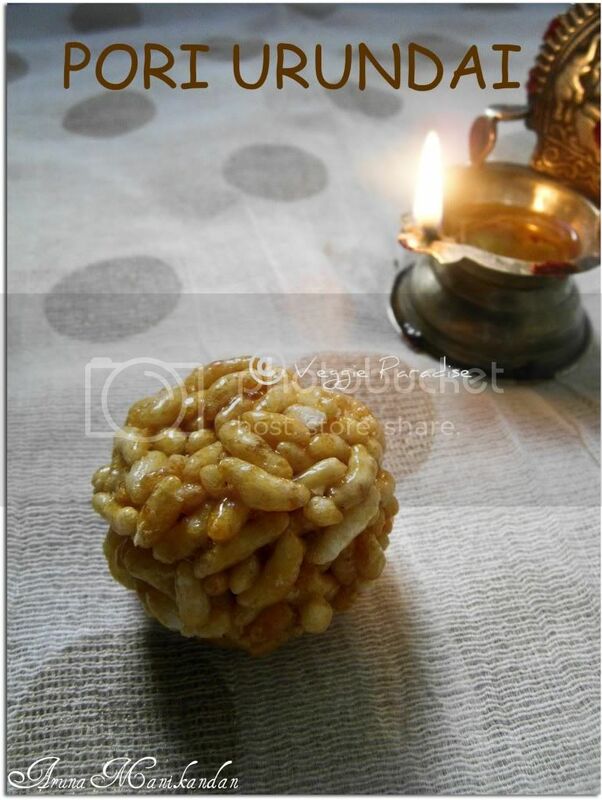 Happy Deepam.These were my fav as a child,nicely made,looks delicious. looks so perfect and yummy..nice post.. I too made this. :-) The pictures are divine. wow sweet posting. that's good look and this is very tasty . Great post.Thanks for sharing such a useful information with us. This is my Favorite dish in child hood. 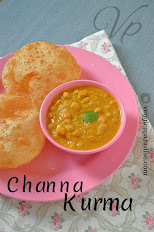 I use to eat allot in Diwali with my best buddies. This is the exact piece of content that I was searching online. Thanks for sharing it here.